KoolerGel is an ‘ice extender’ – a clever product that makes ice last up to 50% longer. KoolerGel was scientifically formulated and developed to be mixed with water. To use, you just take a container (such as an empty soft drink bottle), add water, and then add the KoolerGel powder. The powder will turn the water into a gel, and when frozen it will be 25-50% colder than ice, and can last for days. One packet of KoolerGel will make 6 x 2L bottles. 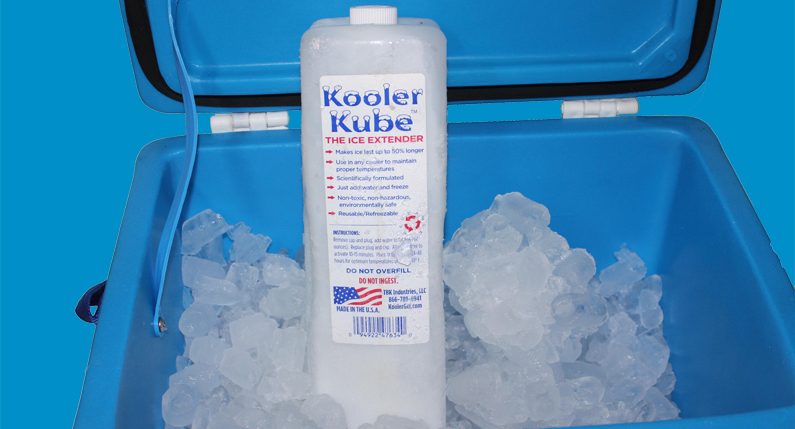 Your frozen containers of KoolerGel can be used to keep your esky cool either with or without ice. You can also keep them in your freezer to improve its overall performance. KoolerGel is non-toxic, non-hazardous, and environmentally safe. This product is also reusable and refreezable, and can last for years. To see videos of how to use KoolerGel, check out the KoolerGel Australia website. The site also has an online store where you can buy both KoolerGel powder and KoolerKube freezer bricks.